Ask people to picture a doctor or a dentist, and they will tell you right away they are thinking of someone wearing a white medical lab coat. At First Uniform, we understand there’s no one-size-fits-all lab jacket. That’s why we offer lab coats for women and men in a range of styles, lengths and brands. 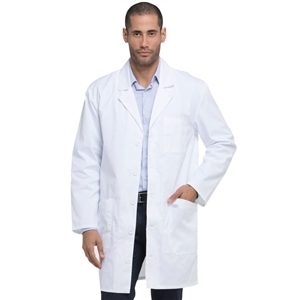 Doctors, dentists and lab technicians rely on lab coats that are comfortable and easy to wear. We carry unisex styles from well-known brands such as Dickies and Cherokee, in addition to a variety of jackets designed especially for women and men. No matter your style or preference, we’re sure you’ll find your ideal white jacket in our selection.